While Waldo has been at camp this summer, we’ve seen firsthand just how much camp counselors contribute to to the experience. Yes, they’re swim instructors, pie fight mediators, cheerleaders, lifeguards, and sports coaches. But even more than that, they’re heroes and role models for the thousands of campers who attend each of these camps every summer. And as a way to thank these counselors for all they do, Texas Hill Country camp Balcones Springs decided to provide the Waldo photo service for counselors for free. It’s a way for the counselors to get all the photos of them that show up in the camp album. They submit a selfie. Waldo delivers all their photos directly to their phones. 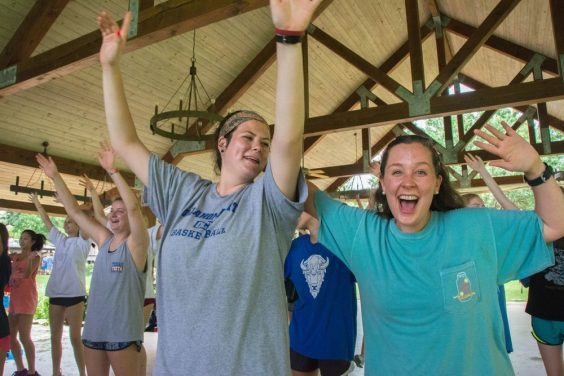 Here is a quick look at some of the Camp Balcones Springs counselors and their favorite parts about camp and advice to campers! Favorite camp memory: “Definitely the women’s dinner,” she said, of a dinner where all the girls at camp come together after a day of fun and have a “fancy” camp dinner in their PJs. Learn more about Waldo’s summer camp photo service!